TesseracT, five-piece band from Milton Keynes, UK, employ a range of musical dynamics, instrumental technicality, and melodic vocals to stand out from the current crop of contemporary progressive metal. In a subgenre where aggression and complexity are key, TesseracT’s use of light and shade, and a mix of clean vs “unclean” (growled, screamed) vocals, produces a unique sound, which finds itself renewed this year on fourth full-length album Sonder. The style of metal often known as “djent” – named for the distorted, palm-muted sound heard from low-tuned electric guitars – has long been a hotbed for musical virtuosity, but usually emphasises the razor-sharp, aggressive edge of bands such as Meshuggah and Periphery. The music of TesseracT, while not devoid of brutality, has also taken on elements of ambient music, such as on albums Altered State (2013) and Polaris (2015), layering atmospherics amid the noise to create vivid soundscapes over which the lead vocals weave powerful, detailed harmony. 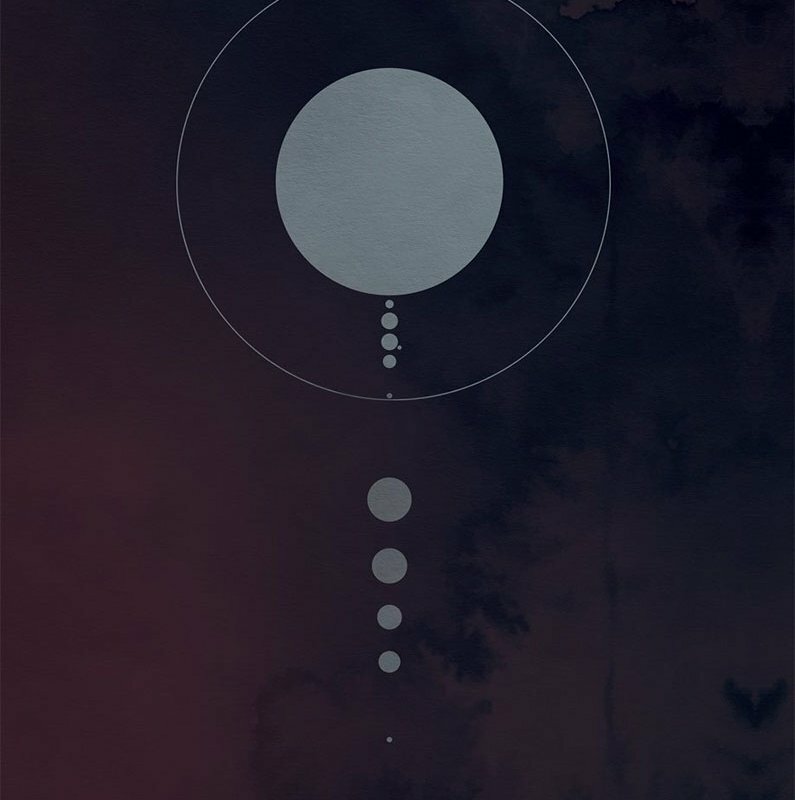 Sonder opens with “Luminary”, one of the tracks released prior to the full album, a 3-minute number which represents a more bite-sized example of TesseracT’s sound compared to the sprawling suites to be found among earlier material. TesseracT have always been known to allow intricate, complex grooves the breathing space to grow and change over time, and while the shorter-song approach apparent on Sonder threatens to compromise that, there’s still plenty of raw, progressive energy to be found. This is most evident in “Beneath My Skin / Mirror Image”, by far Sonder‘s longest song, a two-parter which segues effortlessly from jagged riffing into an airy, emotive climax. On Sonder, the lead vocalist and lyricist is Daniel Tompkins, having returned to the fold in 2015 after an album-cycle absence, and his lyrics deal with grand concepts of individuality (“King”), time (“The Arrow”), and the human condition (“Smile”). Bassist Amos Williams underpins every composition with grace and agility, while the guitars of Acle Kahney and James Monteith fill out the midrange with angular, synchronised riffing and clean, repeating chimes, and everything in-between. The meticulous rhythmic quality expected from progressive metal is handled by Jay Postones, translating TesseracT’s otherworldly polyrhythms into forthright, infectious grooves. Instrumentally, TesseracT have always been a band of true professionals, and Sonder proves that this is still the case. A band much-beloved by audiophiles, TesseracT are also known to take special care with the mixing and mastering of each album, and this is best appreciated through headphones – despite being dense and thick with bass, guitars, drums, and other layers, the tracks on Sonder are rich with space, headroom, and atmosphere. Tompkins’ vocals, though rarely exhibiting the growl and harshness usually expected from progressive metal, form a natural centrepiece between Sonder‘s vivid instrumental passages, while rarely crossing over into overt ostentation. Taken as it is, Sonder is a realised, fleshed-out piece of work – instrumentally engaging, bristling with ideas, and with near-flawless production. It does, however, suffer in comparison to TesseracT’s earlier material. Where Altered State (2013), with Ashe O’Hara on lead vocals, used lengthy compositions to encompass a range of conceptual ideas, Sonder rarely gets into its stride; the outro of “Smile” seems to prowl towards a volcanic, window-shattering climax which never truly materialises. Moments of towering emotionality, as found in “Orbital” and “Beneath My Skin”, are undermined by songs which end abruptly in order to begin the next. Where prior albums had tracks which flowed seamlessly into one another, with lengthy outros and instrumental solos, Sonder seems too fragmented, too disparate when placed among its predecessors. Perhaps it’s easier to view Sonder as a transitional piece; going forward, TesseracT may continue to try and streamline the marriage of their earlier, expansive compositional style to the more condensed, accessible nature of their latest work. The core pieces which make their sound so captivating – the balance between light and shade, the musical complexity, Tompkins’ multifaceted vocal – are still very much present, and TesseracT have proven their ability to adapt through years of innovation. If Sonder proves anything, it’s that the potential for TesseracT’s future growth is enormous, and given their genre, progression is only natural. Note: The months leading up to summer always seem to be busy with new music releases, and I’m trying to keep on top of it all! If there’s anything you want me to listen to and review, leave me a comment! Otherwise thanks for reading, and I’ll see you next time. Awesome review Josh. Your writing is so descriptive and articulate, and inspires me to do a better job with my own reviews. Always enjoy reading your reviews, incredibly in-depth and descriptive!